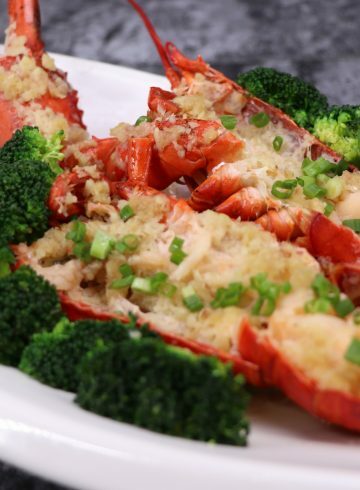 At Le Chinois Cantonese Restaurant, expert chefs use fine seasonal ingredients to craft authentic Cantonese favorites served with a unique French flair. At lunchtime, treat yourself to inventive dim sum. 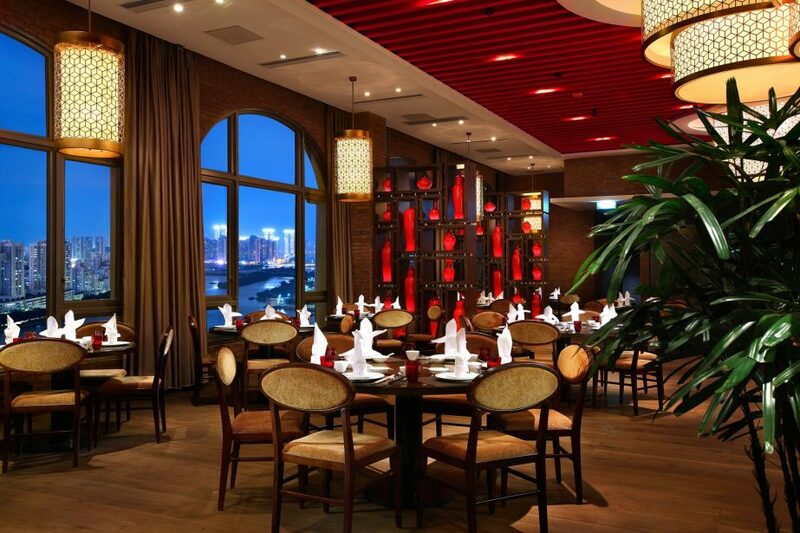 Then return in the evening for fresh seafood and stunning 18th-floor views of the river. As you watch the sun set over the distant hills of Zhuhai, choose from a beverage menu filled with sophisticated French vintages and artisanal Chinese teas. The cool blue belle vue outside the window contrasts with the restaurant’s interior, which uses exposed brick walls and strong shades of red and black to dramatic effect.